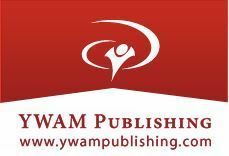 Disclosure: I received complimentary products from YWAM Publishing through Schoolhouse Review Crew in exchange for an honest review. For the last several weeks we've been using a Digital Unit Study focused around the book Christian Heroes - C.S. Lewis from YWAM Publishing. The book is intended for ages 10 and older and is 189 pages long. The digital unit study is filled with studies for homeschool, classroom use, and even small groups! There is a downloadable map of both Europe and United Kingdom included, as well as a fact sheet on the United Kingdom that would make for excellent Social Studies lessons. 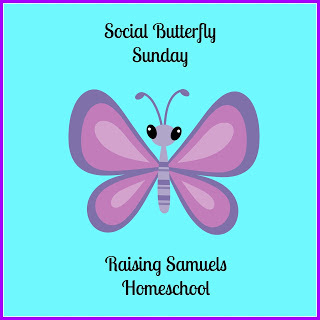 There is an introduction describing many wonderful ideas to help setup the unit on this such as knowing key verses and setting up a display area. The digital unit study is 82 pages full of information and also has six questions assigned for each chapter of the book. The first three questions are designed for younger students, and the last three questions are more difficult. These questions go over vocabulary and reading comprehension, and are recommend to answer at the end of each chapter. The answers are included in the appendix for the first four questions, and the last two are open-ended. When I was a little girl, I fell in love with the book, The Lion, The Witch and the Wardrobe by C.S. Lewis. I didn't discover C.S. Lewis was a Christian until I was an adult though. 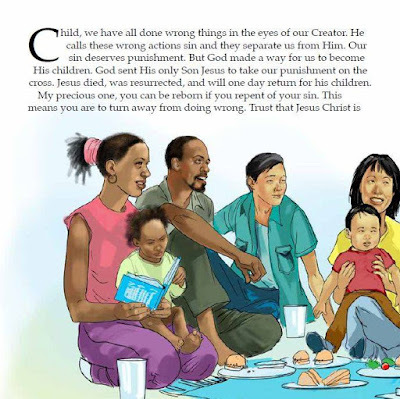 Christian Heroes - C.S. Lewis does an outstanding job of taking you through his life, starting from his childhood. If you have read other Christian Heroes: Then and Now biographies from YWAM Publishing, this one differed slightly in the narrative perspective. It used an omniscient narrator instead of just from the subject's perspective or point of view. I thought this was an incredible idea because it really read like a story. 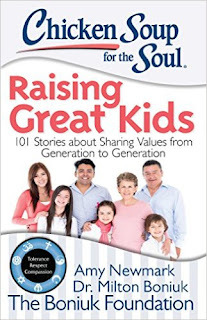 I read the book silently to myself, and then I would summarize each chapter for my sons, as they are still young to sit through a chapter book with no pictures in it. We found out C.S. 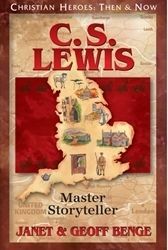 Lewis was an atheist at one point in his life, but he ended up writing and teaching extraordinary books and lessons on Christianity. He had a rough childhood between losing his mother and attending an awful boarding school. He became educated and would see and serve in two world wars. His life was filled with ups and downs, but God used in him in such a way that glorified His kingdom. The boys and I explored the vocabulary questions within the initial first three questions in the digital study guide. We also looked at the maps and we discussed Ireland, where C.S. Lewis is originally from. This was fascinating to me, as I am half Irish and it was fun discussing some facts about Ireland. 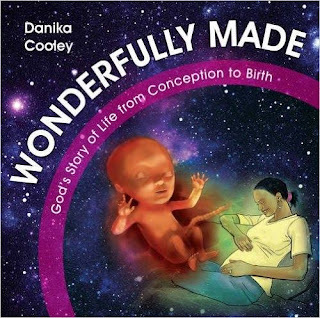 This was my first book I read from YWAM Publishing, but it will definitely not be my last. I thought even though this book is great for a middle school or high school student, I very much enjoyed reading Christian Heroes - C.S. Lewis, and I look forward to reading the other biographies they offer. I love the flexibility the book and study guides have in that it can be used for classroom use, homeschool or for a small group. I would very much recommend this book, especially if you are a Narnia fan like me! Sponsored Post: This post and giveaway were made possible by iConnect and Dreft. I was compensated for my participation in this campaign, but all opinions are 100% mine. To see more on this, please see my disclosure page. It's spring and the flowers are in bloom, and the weather is getting warmer. It is a lovely time of year, except for one word: allergies. My youngest son and I step outside our house and can smell the orange blossoms beautiful fragrance, but to my oldest son it makes him sneeze. It started about two years ago, but as the temperatures rise so do the allergens. I realized that giving him allergy relief medicine was not enough, and I had to look into hypoallergenic products for his sensitive skin. Even though my baby is not a baby anymore (he will be seven this summer! ), I remembered the hypoallergenic products Dreft offered to him when he was a baby. 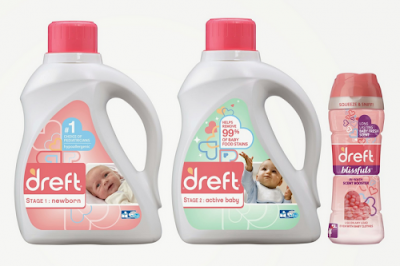 These products are gentle on his skin, and it was so nice to smell that baby scent again that Dreft has. I also enjoy that it is safe for everyone in the house to use, especially if you have a baby at home or one who is in need of hypoallergenic products like my son. It's nice to just have to buy one detergent that is safe and effective for both of my sons! 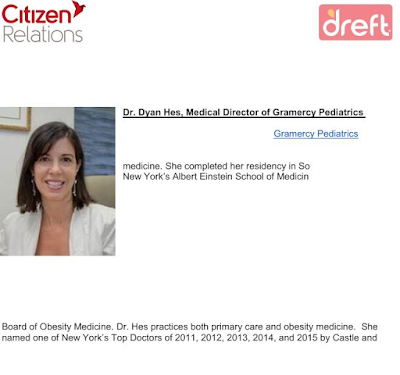 As I was looking more into Dreft products again, I noticed they have a new partnership with Dr. Dyan Hes, a mom and pediatrician. 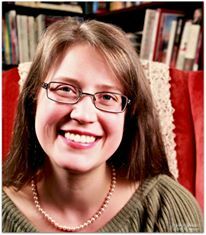 She is the Medical Director of Gramercy Pediatrics in New York City, and was recently named a 2013 top doctor by NEW YORK magazine. She also sits on the board of the American Board of Obesity Medicine. 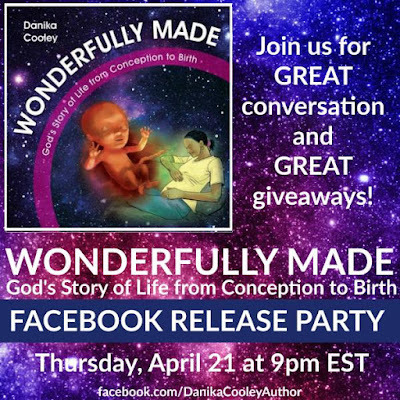 RSVP here (or in giveaway form below) for the upcoming Twitter Party with @Dreft and Dr. Dyan Hes (@gramercypeds) on May 9th at 9:00 PM EST/8:00 PM CST. 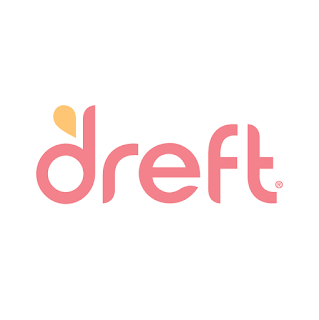 One Winner will receive one of each: Dreft Newborn product, Dreft Active Baby product, Dreft Blissfuls, and a gender neutral hypoallergenic blanket. Thursday - The boys watched a video about Jonah today in the free Bible for Kids app. Tuesday - The boys worked on video 2 on Times Tales today. The multiplication aspect is still above their learning level, but they love the stories and the characters. Thursday - B's lesson on ABCmouse at him counting ten blocks and 1 blocks, and adding with tens and ones. He also went over fact families, and we worked on these in the car together while running errands today. Tuesday - During the Babylonian period, people used charcoal fires for cooking, and food was boiled in a pot of water over the fire. We also learned that they would put rocks into the fire and then remove them still hot, so the bread could bake on them. Cumin was a seasoning they used like pepper to season food, and they also used garlic. The Babylonians kept records on stones and clay tablets and it was the height of the Babylonian empire from the book of Daniel we read in the Bible. Thursday - Today's lessons in ABCmouse was on things that float. The boys learned the history of canoes, rafts, rowboats, sailboats, sailing ships (they learned about Christopher Columbus and the Mayflower), and riverboats. Monday - We had to take our kitty to the veto today, and our local vet knows we are homeschoolers. One of the nurses there is so excited every time she sees us, and she shows the boys the latest things that are going on that day. She showed the boys worms that had been extracted from a dog, and then she taught them the importance of keeping their hands clean and how it can effect our pets. She even gave them lollipops and coloring books as a parting gift! 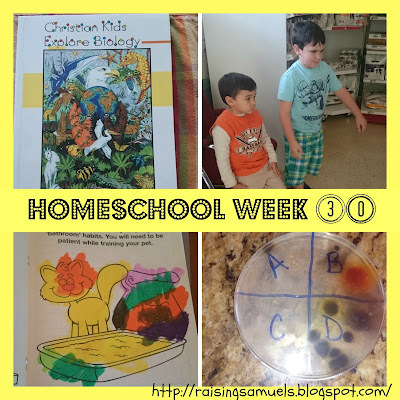 We also took notes for Day 6 of The Magic School Bus Science Club, that ironically enough was on bacteria! 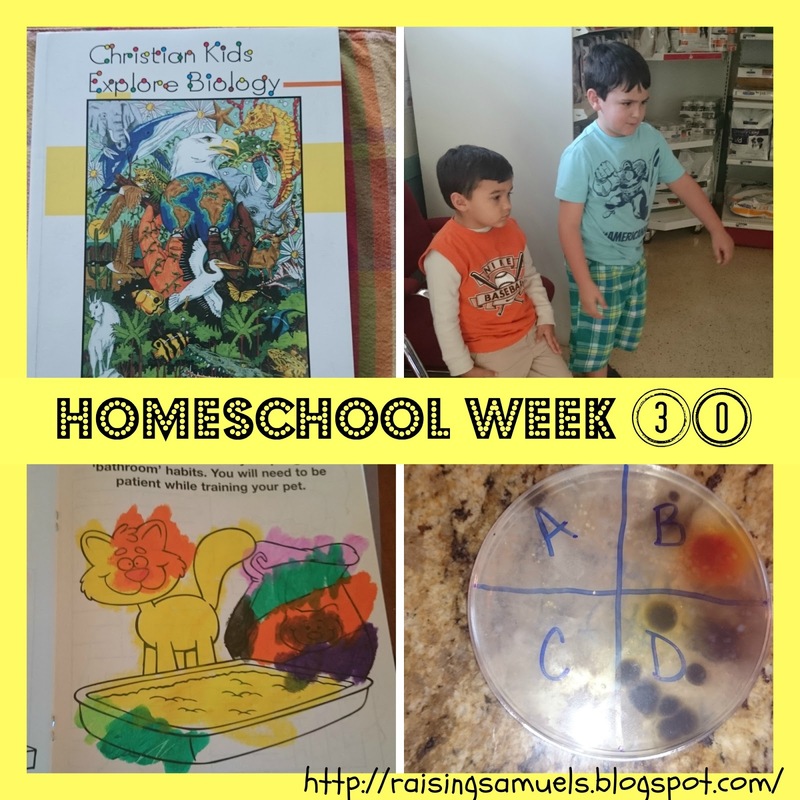 Tuesday - We set up our experiment on bread mold today in The Magic School Bus Science Club. We also learned about the meaning of Biology in Christian Kids Explore Biology, which is the study of life and living organisms. We learned that evolutionists believe in the Big Bang Theory and that creationists believe in the Bible. I showed the boys the petri dish growing bacteria on it, and asked them if they ever though that could become a person. That looked at me like I was crazy! Thus, proving we are creationists. Wednesday - We had a guest speaker tonight in adult church and do you know what the man talked about. Creation vs. Evolution! My jaw hit the ground and I had this big smile on my face. We were learning what my four year old and six year old learned just yesterday! We also went to the library in the morning, and learned some fun vocabulary words like metamorphosis, camouflage, and chrysalis. Thursday - G's lessons in ABCmouse were on the four seasons and fall. His vocabulary words were cloudy and rainy. Monday - The boys learned many spelling words today in ABCmouse. Their words and sounds today were lap, flap,st, sp, sk, blank, stool, desk, spear, star, stick, spoon, scarf, skull, skunk, and spider. They also learned describing words, know, knowledge, knight, gnome, gnu, wren, gnash, gnawing and wrist. (silent sounds in words) The boys also did crossword puzzles from the coloring pages from the vet. 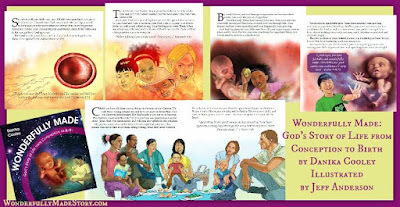 Tuesday - We read a poem in Christian Kids Explore Biology called The Creation by: Cecil Frances Alexander. B read the stories in Times Tales, and the boys did phonics of th and d in Read, Write & Type. Wednesday - The librarian read Ten Little Caterpillars, The Caterpillar and the Polliwog, Houidini The Amazing Caterpillar and then they watched a video based on the book, Waiting for Wings. Thursday - B's sight words in ABCmouse today were most and take. He also worked on ch, th and sh words such as fifth, pitch, thick, chest, shoe, shapes, cash, dash, bench, and thumb. He also learned about using a pronoun in place of a noun like changing I, me, my and mine into we, you, his, your and they. G also did Lesson 35 on a review of reading the alphabet, letters r to w.
Saturday - We read chapters 3-5 in Ghost Town at Sundown today. Monday - The boys asked about the songs in the Minions movie. We listened to the actual songs on YouTube, like They Call Me Mellow Yellow and Hey Hey We're The Monkees theme song. They thought it was cool to hear the original music, and a few months ago when my Dad came to visit the three of them really enjoyed the movie together because of the music. G sang Twinkle, Twinkle Little Star and the boys had soccer practice. Tuesday - We did some artwork today using Kwik Stix, and the boys painted on some model dough they were given at church on Sunday. We had some fun throwing cards in the air as an illustration in Christian Kids Explore Biology. I then asked the boys if it made anything and they said no. I then had them make something out of the cards, and they made an E. This shows that God is the ultimate creator and He plans and creates everything. Wednesday - The boys did some finger plays and listened to a song at the library for Story Time. I realized today that they have outgrown Story Time, and it made me me sad. I'm happy to see them get bigger, it just seems to happen over night on some days more than others. They also had choir practice tonight, and then got to play on the playground at church with their friends. Thursday - B did color by word in ABCmouse today, where he learned more about pronouns. Saturday - The boys had a soccer game today, and they had fun playing at the playground with their friends afterward. They also played baseball with their friend when they got home. Thanks for stopping by to share our week! 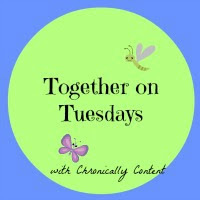 Congratulations to Lisa at Chronically Content for her post, Together of Tuesdays Blog Hop #79! 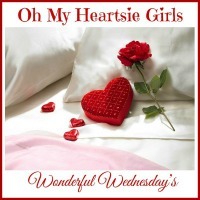 Congratulations to the mother and daughter team at Chitter Chatter With a Mother and Daughter for their post, Aging With Grace. Sponsored Post: I will be receiving a complimentary copy of the Africa Study Bible through the publisher as part of the launch team for Oasis International. To see more on this, please check out my disclosure page. My husband's aunt, uncle and cousins were missionaries in Africa in the mid 90's. They got to experience first hand, what it is to disciple to people who have never heard of Jesus or the Bible before. While many understood English, there was still a barrier as we interpret the Bible, in the way we were taught it. Many Bibles are from the viewpoint of the United States and United Kingdom, and this could be hard for an African to grasp culturally, even one who understands English. Many major Christian organizations led by Oasis International have been working on a six year, cross continental effort to bring the first African study Bible created by Africans for Africans into a reality. This collaboration has included a team of 11 editorial board of scholars members from Africa, and 350 writers and editors from over 40 different African countries to bring this study Bible together. Their hope is to raise enough funds to print the first 100,000 copies of the African Study Bible (ASB), which would cost about one million dollars. The first run of these Bible would reach people in Africa by the end of 2016. This is only cracking the surface as there is an estimated 100 million people in Africa whose leaders are excited about obtaining the ASB to teach about discipleship. President of Oasis International, Dr. Matthew Elliot is excited about "bringing the power of Scripture to Africa in a new culturally relevant way." The ASB will help grow the faith of African church members, help to teach evangelism in their communities and bring a biblical worldview to their society. 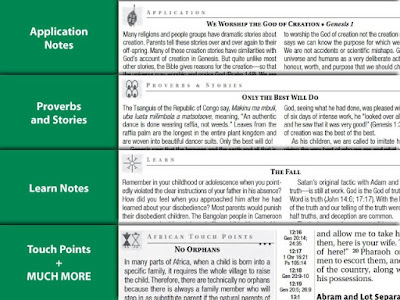 This study Bible will use the New Living Translation (NLT) and will include over 2,400 features such as application notes, stories, basic theology and touchpoints linking Africa to the Bible. The initial releases will include not only English translations, but also French and Portuguese. There will also eventually be an app for the study Bible. To support the effort, Oasis International is partnering with Tyndale House Publishers to create the study Bible. Other participants include Willow Creek and Willow Creek Global Leadership Summit, IFES (International Fellowship of Evangelical Students), Scripture Union, Africa Leadership, TransWorld Radio, Moody Broadcasting, Center for Early African Christianity, PJA (Publications pour la Jeunesse Africane), MMD Global, The Livingstone Corporation, InSight Books, Urban Ministries Inc., and the Association of Evangelicals in Africa, with additional participants being added on a regular basis. access to affordable Christian literature and the Bibles needed to mature in their faith. In these countries, the measure of annual incomes is often in hundreds, not thousands, of dollars. The great needs of Africa, in particular, drive Oasis International to concentrate on this continent, where the Church is experiencing significant growth yet printed resources are scarce. or the Africa Study Bible Kickstarter campaign. 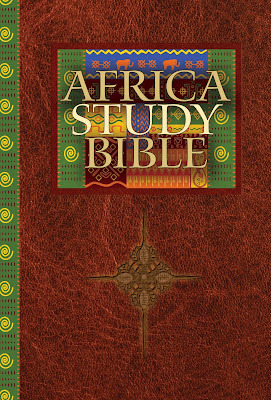 They have been able to raise $40,000 so far to get these Africa Study Bible printed. If you are interested in donating, please visit here. Disclosure: I received complimentary products from Full Leaf Tea Company in exchange for an honest review. This post also contains affiliate links and I will be compensated if you make a purchase after clicking on the links. Thanks for supporting my site! 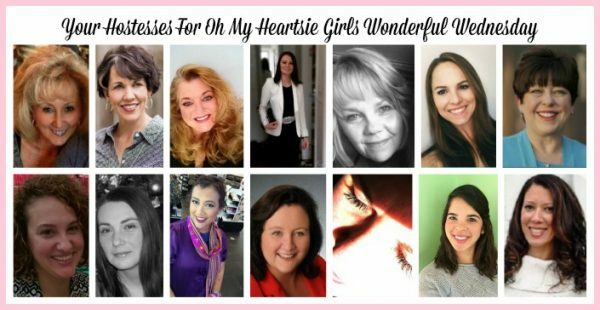 Mother's Day is a special day where we celebrate the beauty, joy, and love of motherhood. 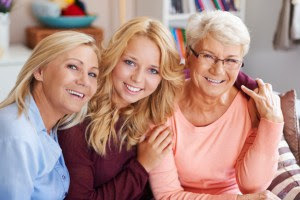 Whether you are a first time Mom, soon to be Mom, experienced Mom, Stepmom, or Grandma, we all want the best for our children and grand children. We even go without sometimes, so that they can have more. No one ever understands this, until they become a parent. My younger sister used to beg me to go do a pedicure with her before she had kids. I would tell her, I can go to the store and go get something for the boys with the money I will spend on a pedicure. She is pregnant with her second child, and now she gets it. 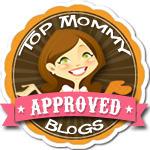 There are also times when we as Moms, do need to take care of and pamper ourselves. 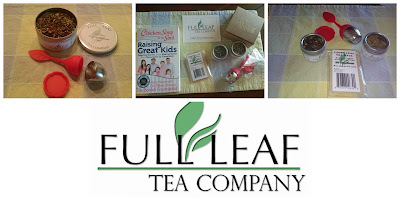 I am excited to talk to you today about Full Leaf Tea Company, and how you can spoil yourself daily with these awesome products for the price of that pedicure! Full Leaf Tea Company offers such a variety of teas from organic, black, green, herbal and even Matcha, which is the tea I think I will be ordering from them next! They have a commitment of offering the best tea experience possible, and I have to tell you this is just what I experienced! I was sent a Full Leaf Signature Leaf Infuser - Red and Natural Paper Drawstring Teabags to steep the loose leaf tea. I enjoyed the luxury of making my own tea bags, and my sons loved helping me steep the tea with the Infuser. This shows the 2 oz container the day I opened it. The taste of the tea is incredible. I sampled Egyptain Chamomile, Organic Masala Chai, Organic Mint Bliss, Berry Chamomile and also the Clean Body 28 Day Natural Tea Cleanse, which included Organic SkinnyMe and Detox Rejuvenation. If you have been thinking about doing a cleanse or a detox, this is absolutely amazing. These are the 2 oz containers 16 days later, after using a teaspoon of tea a day per container for tea. Each serving recommendation is one to two teaspoons, but I found one teaspoon to be perfect. The Organic SkinnyMe has a high enough caffeine content, that it lasted me in the morning. I love drinking coffee in the morning, and it is usually dark roast and one to two cups per day. I decided for my cleanse, that this would be the one thing I gave up. The first two days of this were rough for me and I caved in on the third day to a cup of coffee, but the taste was awful from just one sip. I also tried again on the ninth day of the cleanse, and had one, whole cup of coffee. I got severely sick. After that, I knew that coffee had to come off my foods and drinks I ingest. This cleanse has really helped me identify other foods and drinks, that don't agree with my body. My abdomen used to be swollen all the time, and it has helped decrease this. It has given me more energy throughout my day and it has even helped my skin and hair grow healthy. I say all of this not as a spokesperson for the company or a dietician (which I am neither), but just has someone who tried something that worked. My husband has even noticed the changes! I would highly recommend trying the products from Full Leaf Tea Company. They are quality products but at affordable prices. They offer a standard shipping of $2.95 per order, or free shipping on orders over $39 in the United States. They also offer Variety Samplers so you can try out different kinds of teas to see which you like best to Wholesale, if you own a business that would benefit from this signature taste of tea. You can also order your favorite kind of tea from a sample size (5 to 7 servings) to an 8 oz tin (120 servings). 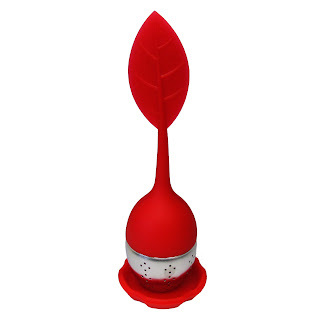 Steep the perfect cup with our signature silicone red leaf tea infuser! Easy to open and close with a silicone grove that holds the stainless steel base. Enjoy the convenience of removing the infuser from your cup with ease and set it on the silicone base for your second (or third) steeping! An easy disposable option for life on the go! Tuck them away in your desk drawer or your pantry to steep your favorite loose leaf tea. 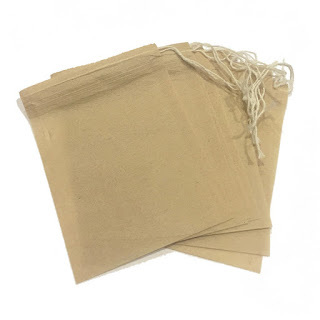 Durable natural fiber paper tea bags will make the perfect cup with ease. 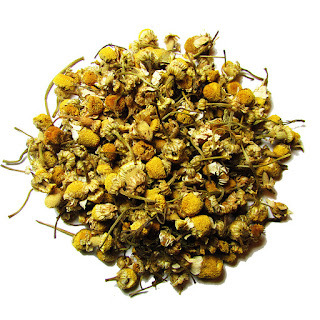 Experience the finest whole chamomile tea with Full Leaf's Egyptian Chamomile! Relax with a soothing cup of tea made for royalty! This is a sample size that comes in a beautiful tin, and has approximately enough for 5-7 servings. An absolute delight! Spicy, bold, and sweet all in the same cup! The finest ingredients have been brought together for this premium organic chai blend. 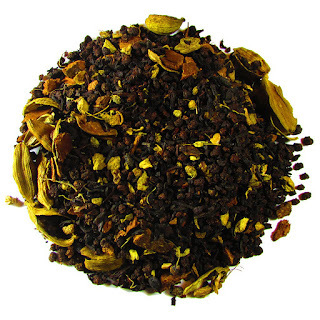 Certified Organic Black Tea from India is mixed with organic ginger, organic cinnamon, and organic cardamom infused with natural cinnamon and vanilla flavors. 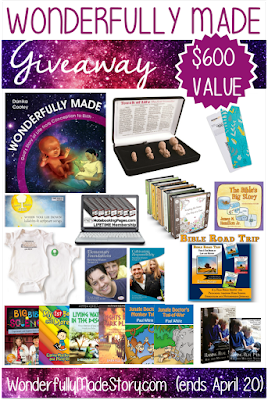 This giveaway is open to residents in the United States, ages 18 and older. The giveaway will start on Friday, April 22, 2016 at 12:00 a.m. and will end Monday, May 2, 2016 at 11:59 p.m. To enter, please fill out the form below. There will be one winner, and the winner will be notified by email. Best of luck to all who enter! Wishing you all the best for a wonderful Mother's Day! and these other amazing sites!